Spring is a busy time for us here at Southern Minnesota Initiative Foundation (SMIF), especially in our early childhood program. We invest in this area to prepare the youngest citizens of our region to be the workers, leaders, and entrepreneurs of tomorrow. We invite you to celebrate with us the Week of the Young Child, April 12-18. This year’s theme is “Celebrating Our Youngest Learners.” For more information about the Week of the Young Child, visit http://www.naeyc.org. Since one of SMIF’s focus areas is early childhood development, here are some ways that we are marking this annual event and Celebrating Our Youngest Learners in southern Minnesota. One unique way we invest in early childhood is by providing free books to organizations through our BookStart grant program. For more than a decade, we have partnered with Capstone, as together we seek to place a book into the hands and homes of pre-school children across southern Minnesota. Through this program, we are pleased to offer awardees the option to select from a limited number of board books and bilingual (Spanish and English) books as well as a wide variety of other early childhood books. 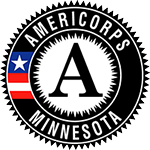 Presently, we are also recruiting new AmeriCorps LEAP members for our 2015-2016 year of service. LEAP participants are placed in early learning centers (typically Head Start sites) and they help classroom teachers address the area of social and emotional skills in children ages 0-5. These efforts lead to skill-building and result in improved school readiness, which is critical to a successful transition into kindergarten. On April 7, many of our AmeriCorps LEAP members will participate in the Mayors Day of Recognition for National Service. We are pleased that members serving in Rochester, Waseca, Owatonna, Northfield, Winona, and Mankato will all be recognized by local Mayors. We salute all of our members great work over the past year! (Those interested in becoming an AmeriCorps LEAP member should contact Barb Gunderson at barbarag@smifoundation.org or 507-455-3215). Another exciting way we’ve expanded our early childhood work is by offering more training opportunities. Through our Parenting Matters...a workplace education program, we are able to engage working parents where they spend a majority of their time—the workplace. We know that many working families find it difficult to participate in the traditional parenting classes due to conflicting work schedules, time commitments, and cost. By offering classes at businesses over the lunch hour, we are able to remove some of these barriers. In addition, over the last few years, we have been partnering with First Children’s Finance to offer Quality Child Care Provider trainings to local child care providers. This training involved strengthening the quality of their programs and preparing them for the Parent Aware rating process. These high quality family child care providers receive one-on-one business consulting to improve their daycare businesses. The child care providers who participated in this training now identify themselves as entrepreneurs and early educators. If you would like more information on SMIF’s early childhood resources or other ways you can partner with us, you can contact me at timp@smifoundation.org or 507-455-3215 or visit to our website at www.smifoundation.org.